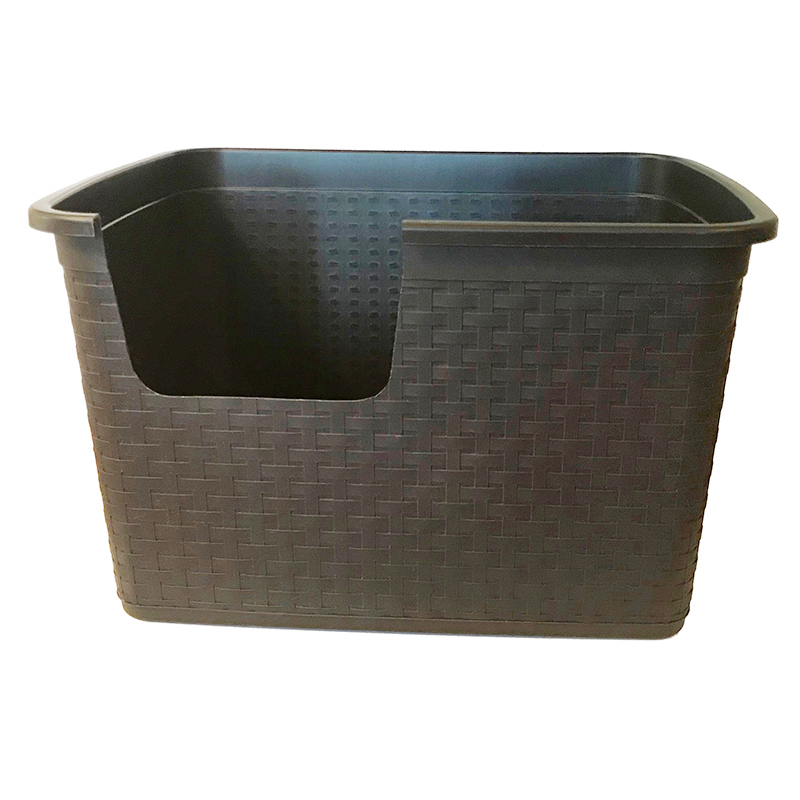 To insure a dry and clean cabinet, I came up with the High-Sider™ Litter Pan, it is a custom fit plastic (storage tub) re-engineered for a litter pan for my (2015-on) Out of Sight Litter Box® cabinets. The High-Sider™ Litter Pan (plastic) fits into the cabinet and is 14 inches tall (22 inch x 16 inch x 14 tall) no more “misses” over the edge. I looked for a long time to find this perfect fit plastic tub that I could re-purpose. NOTE: I cut the cat entrance and on the inside corners, remove 4 supports that were a good design to keep stacked bins from locking together, but, not for scooping kitty clumps out of the corners. The price is high… but, most of the cost is shipping. Shippers charge for the size of the box now days, not by the weight. Color: Brown.